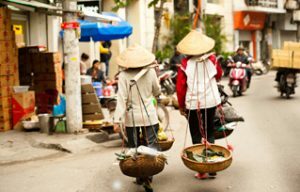 With its regional legal and tax expertise, DFDL has assisted clients in Vietnam since 1995, advising on both local and international legal and tax matters from its offices in Ho Chi Minh City and Hanoi. Drawing on more than 20 years of in-depth experience in the country and the Mekong Region, DFDL has built a reputation as the preferred choice of legal and tax services provider in Vietnam, advising on all aspects of investments from general regulatory matters to commercially robust, complex, and bespoke sophisticated transactions. Providing international quality, seamlessly integrated, and relentlessly solution-oriented legal and tax services to establish, structure and protect our clients’ business interests, are key cornerstones of DFDL’s culture, approach, and strategy worldwide. Positioned as the preeminent full-service, legal and tax integrated law firm in Vietnam, DFDL has developed a reputation for technical excellence, creativity, and integrity coupled with in-depth knowledge of the local environment. Our advisers have represented leading international and Asian investors in Vietnam, including leading international and Asian financial institutions. Our involvement in major projects in Vietnam includes major power projects, large real estate projects, and mergers and acquisitions.